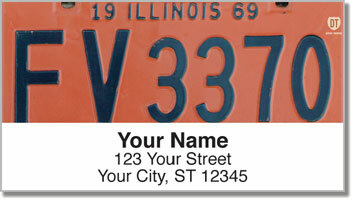 Love Illinois and retro license plates? 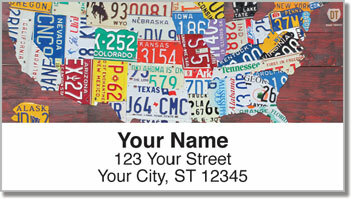 Then you're going to love these address labels featuring the vintage art of David Bowman. 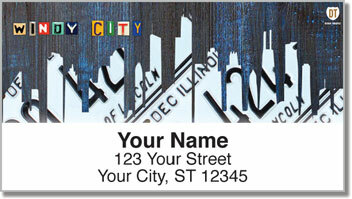 Celebrate the Windy City and all things great about the Land of Lincoln with these designs crafted from retro license plates Bowman retrieves from garage sales, attics, and other places. Save your hand from the cramp inducing work of address dozens and dozens of return addresses with these labels. Now they come with a convenient sticky backing, perfect for adhering to any surface. 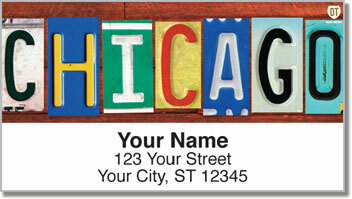 Order these labels today and get shipping absolutely free!